The 71-year-old actor is treated for an ankle injury. NEW YORK — Harrison Ford was injured on the set of “Star Wars: Episode VI” and was taken to a hospital. Disney said the 71-year-old actor was being treated for an ankle injury he suffered during filming Thursday. 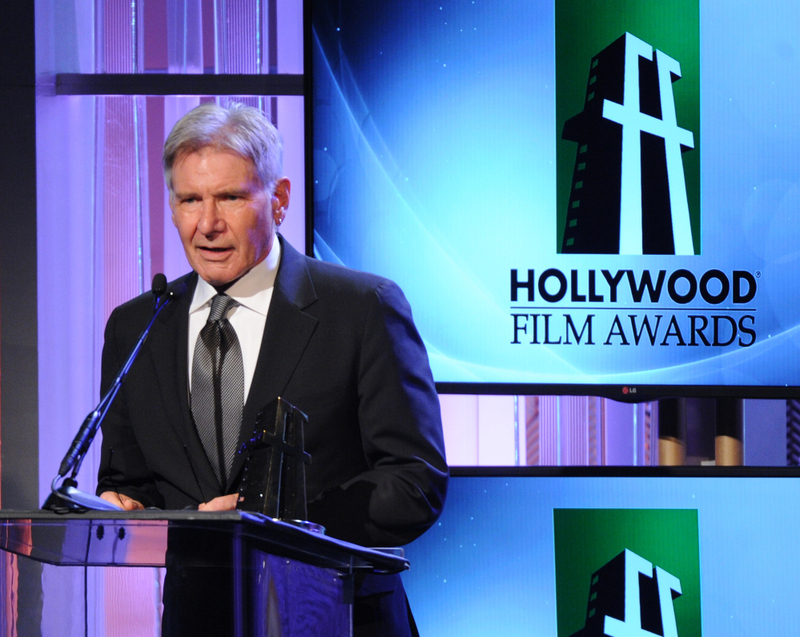 Harrison Ford accepts the “Hollywood Career Achievement Award” onstage during the 17th Annual Hollywood Film Awards Gala at the Beverly Hilton Hotel in Beverly Hills, California, in 2013. The “Star Wars” sequel is being filmed at Pinewood Studios outside of London. Ford is one of the several original “Star Wars” stars returning to the J.J. Abrams-directed sequel. He’s joined by fellow alums Mark Hamill, Carrie Fisher and Peter Mayhew. Disney said shooting will continue as planned while Ford recuperates.